Hey Alexa – what comes next…? Almost every strategy article today sets the scene with stats that scream: “The world has gone digital…so should you.” Brands are increasingly turning to AI to automate customer services and assistants like Amazon Echo are playing a key role in doing so – you only have to utter the words: “Alexa, open Dominos and place my Easy Order” when hungry. The age of humanless customer experience is well and truly here – but will the future really be all about voice-led commands directed at plastic boxes of different shapes and sizes? With smartphone saturation on the cards and businesses in danger of digital-disconnect (or worse – anonymisation), now is the time to ask: what’s next? Consumer experience has well and truly entered an ‘automation apocalypse’ – 74% of consumers say they have used voice search in the past month, while daily use is up 27% compared to last year (HubSpot). 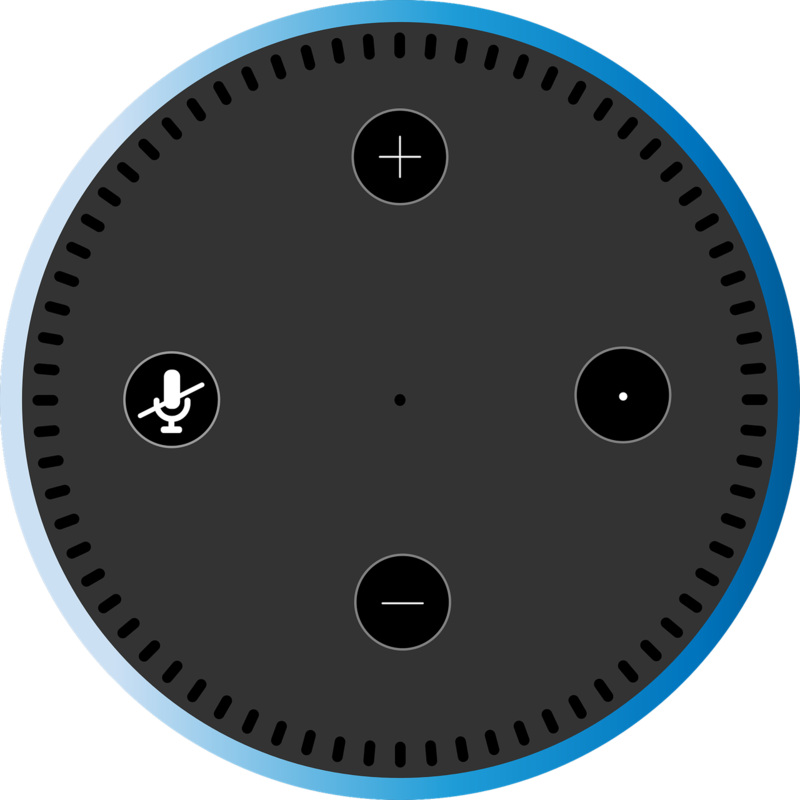 In 2017, 35.6 million Americans used a voice-activated assistant device at least once a month – a jump of 128.9% over the previous year (eMarketer). This unbundling of the smartphone’s grip on consumers will see the next mobile computing and augmented reality platforms emerge. Consumers will start to seek out more immersive experiences in which virtual, augmented, and mixed reality undergird the shift away from traditional screens. What’s more, the demand for AR/VR is projected to reach $80B by 2025, according to Goldman Sachs, while Citigroup pegs it at more than $2T by 2035 as industries and use cases increase. In the next decade or so, mixed reality is expected to overtake current AR/VR markets to become the dominant technology for everyday computing, with its three main drivers being MR technology, voice driven virtual assistants and anticipatory AI. This could see the adoption of new mobile computing platforms and expand the mobile experience away from screens. In addition, although businesses have delivered exactly what consumers want when it comes to self-service, research consistently drives home that the human touch is still critical to customer satisfaction. Harvard Business Review reports that “Research across hundreds of brands in dozens of categories shows the most effective way to maximize customer value is to move beyond customer satisfaction and connect with customers at an emotional level.” There is also a growing body of research that suggests that over-automation is damaging to brands. The question we’re now asking is: has going digital caused a ‘digital disconnect’? Somewhat counter-intuitively, it was our desire to be more connected (customers to businesses) that caused the disconnect. My Customer puts technology’s emergence into perspective: The more technology enhances us, the more it creates the opportunity for a human touch. It also calls for “the new machine” – one that delivers superior customer experiences. Who would have thought, pre-digital, that we’d be asking the question: how can technology make the customer experience more human? This trilemma: higher and higher consumer expectations; a digital disconnect and the anonymisation of brands bodes well for emerging digital human technologies as the ‘next’ of customer service. Essentially a way of wrapping the best of humanity around the best of the intelligence of machines to create a better, more engaging experience, chatbots and voice-led tech are the start of this journey as brands fight for their relevance. In a recent paper on how digital assistants communicate, the authors put forward that “In persuasion one has to convince with logos (rational argumentation), ethos (the persuader’s credibility and reliability), and pathos (the appeal to the emotions…).” While chat and voice-based technologies might tick the first two boxes, it’s the third one that they fall short on. It’s also this one that successful brands of the future are starting to hone in on. Experiments have been done for years around how we as people can connect the dots between interfaces and experiences. Previously, technology has been the only barrier, but the emergence of Digital Humans is the promise of a universal way of connecting the two. In future, 3D rendered humans will be able to understand the tone of your voice, facial expression and non-verbal cues like body language. Companies will use them to embody their brand in a way that other digital channels can’t and to engender loyalty and trust through face-to-face interaction that drives emotional connection and engagement. These Digital Humans will deliver better conversion and provide real-time analytics about their level of customer support. What’s next, you ask? Perhaps instead of Alexa connecting you to information, she becomes a global directory for connecting you to specialist Digital Humans. People don’t have to talk to plastic boxes. They can have meaningful conversations and come away feeling valued. Digital Humans offer an incredible future for brands…but not only this. They could revolutionise mental health, healthcare and a number of other specialist fields currently under the resources pump. It’s a future that is being made possible today.